Hello, my husband is a us citizen and he filed i130 for spouse visa and we got the receipt number few days ago. I live in lebanon. I want to ask is it a good idea to apply for k3 spouse visa nowadays to fasten the process and when I get to usa I apply for the greencard after i130 is approved? Or k3 visa is being denied? Each US visa type has its own chances of approval based on your situation and intent. If you can get K3 visa, you can come to USA. How long does it take for k3 visa to be out? You can request to raise a service request. Can you please explain why Permanent resident apply for spouse approval time is shorter than US citizen appy for spouse in texas Service center? Only USCIS can explain it. Hi, My sister filed for me at Texas Center around 5 years ago. I’m 35 years and married. At that time I was reading everywhere that it takes 10 years for processing. but now I saw that it changed to 9 months for Texas Center. Is it true? So what happened to my case? 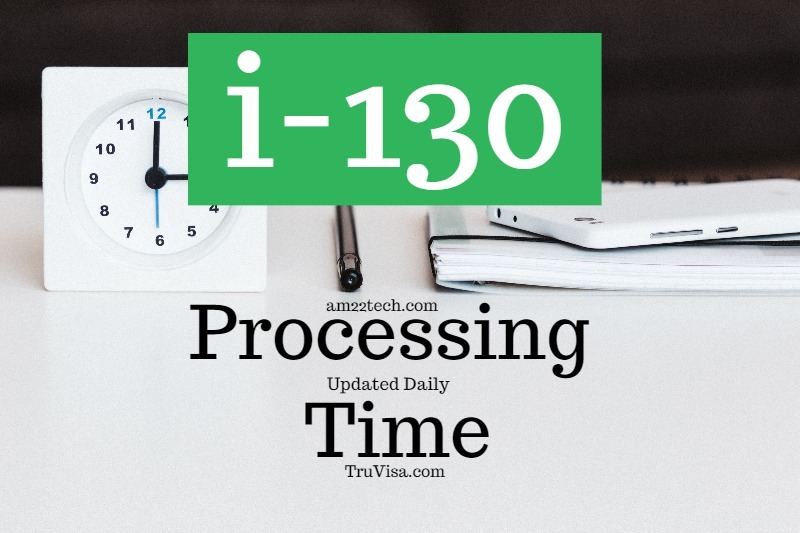 This processing time is only for form I-130 approval. 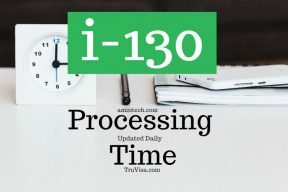 Once the I-130 is approved, you need to wait until your country’s priority date gets current and then you will get a call for Green card interview. Hey.Is the I-130 file processing duration back to max.10 month? As it was changed few days back for nebraska Centre? any idea how long is going to take to get approval ?? Please use your best estimate based on above mentioned dates. I am a US Citizen, i filed petition for my wife for spouse visa, the i130 was received by nebraska service center on july 20th, 2018. I am guessing i can hearing something by May of 2019 2nd week? Don’t worry. Sometimes, USCIS website does not get updated. Case receipt I-130 was filed on June 15th 2018 at Nebraska center for US citizen filing for Spouse in foreign country, It has been almost 10 month now and have yet to receive a response. Any idea how long is going to take to get approval on I-130? The best case approval dates are scanned by our service as reported by users on various online forums and what has been shared by users above.